I am delighted to be joining the blogtour on the publication day of this lovely book. Congratulations Helen Cullen on a wonderfully warm debut novel. Can we all just take a minute to admire that stunning cover? In a time when we rarely receive written letters any more, how many memories does that evoke? My eye was drawn in particular to the airmail envelope which reminded me of when I was much younger and used to write to my cousin in Canada. How excited I used to be when that thin, almost weightless, envelope dropped through the letterbox. William Woolf works in the dead letters depot in East London. Here, all the letters and parcels which can’t be delivered are checked over by the staff who try their best to identify the recipients or senders. William works in the ‘supernatural’ department where letters to recipients who may prove trickier to track down end up – letters to God, to Santa, to film superheroes and so on. With his own marriage to Clare less than happy, he is intrigued by letters from a mystery writer called Winter simply addressed to ‘My Great Love’. Although William is a character I really took to heart, my favourite parts of the story were those where we learned about the contents of the lost letters. I loved all the little stories and dramas associated with them, sometimes stories that could only be guessed at from the one side we learn from the letters. And I loved William’s determination to reunite the letters with the intended recipients, sometimes personally delivering them and thereby uncovering a more complete story. But my favourites, naturally, were Winter’s letters to ‘my great love’. They were so full of yearning and as romantic as any letter sent to a known recipient. 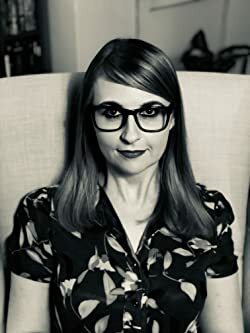 Through a recent Twitter conversation I learned that the author herself narrated those parts of the audiobook and having heard her on Steve Wright’s Radio 2 show, I could then imagine those letters in her lovely Irish accent. (You can listen to that interview here but I’m not sure how long it is available for). I couldn’t decide whether I wanted William to find Winter and actually be her longed for love, or whether I wanted him and Clare to rediscover the great love they had once known, or whether indeed I hoped that Clare night be writing the letters to him. Well of course, I’m not going to tell you which if any of those scenarios was correct, you will need to read for yourself to find out. What I will say is that by the end, there was a resolution for all the characters. 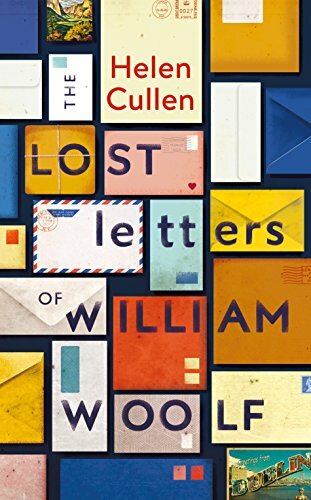 The Lost Letters of William Woolf is a beautifully written book, full of memorable characters, love, hopes and dreams. It is very moving and I found it to be a really compelling read. I am looking forward to reading whatever Helen Cullen writes next. ‘The Lost Letters of William Woolf’ will be published this year, 2018 in UK, Ireland, USA, Canada, Australia, South Africa, Germany, Italy and Israel. Definitely my kind of read! Great review. This book is definitely going on my to-read list.